The 50th annual Terlingua International Chili Cookoff kicked off yesterday. A new book out last month takes us there. 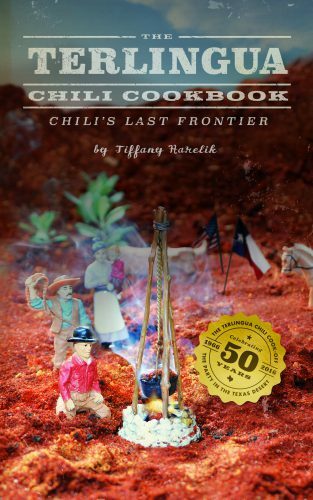 It’s called The Terlingua Chili Cookbook, and it’s full of origin stories, bragging rights, chili-cooking pro-tips, and plenty of recipes. Joining us today on West Texas Talk is the book’s author, Tiffany Harelik. We talk about the three main chili religions, divisive chili ingredients, and lessons learned from a year of immersive chili research. This entry was posted in and tagged chili, cookbooks, food, recipes, Terlingua, West Texas. Bookmark the permalink.